CHICAGO -- A hair stylist suffered more than 40 stab wounds to his upper body in a fatal attack last month in the high-rise Chicago condo of a Northwestern professor, police said Friday. 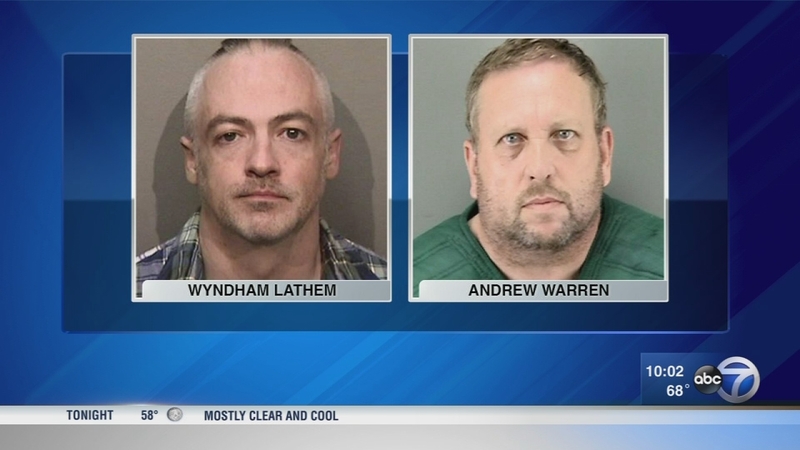 Former professor Wyndham Lathem and Oxford University financial officer Andrew Warren face Chicago arrest warrants accusing them of murder in the July 27 fatal stabbing of 26-year-old Trenton James Cornell-Duranleau. Cornell-Duranleau suffered "lacerations and mutilations to his body, his upper body, but not to the point of decapitation," police spokesman Anthony Guglielmi said. He described the attack as "certainly very intense." Authorities have said the attack on Cornell-Duranleau, a Michigan native who moved to Chicago last year, was so brutal that the blade of the knife that investigators believe was used in the stabbing was broken. When police found him, he had already been dead for at least 12 hours. Guglielmi said police believe there might have been some tension in Lathem and Cornell-Duranleau's relationship. "We've been looking a great deal, not only at the relationship between Dr. Lathem and the victim, but also the connection between all three," he said. Guglielmi said Chicago police are investigating the backgrounds of all the men but won't be releasing details until they have questioned Lathem and Warren, who separately surrendered to California authorities last week. The pair had been on the run for eight days. Lathem, 42, is being held without bail in Alameda County and has waived extradition to Chicago. His attorney has called him a "gentle soul." Northwestern University said Monday that they fired him effective Aug. 4. Warren, a British national, is expected to make his initial appearance in a California court Friday. He arrived in the U.S. just days before the killing.